With the growing usage of smartphones and tablets we are becoming dependent on them and most of our personal things are there with them in the form of data. 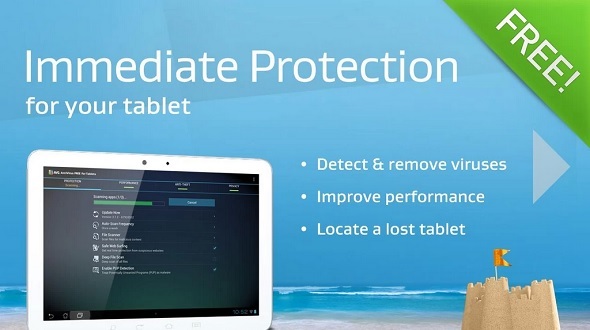 Since we all should care for our privacy so the data with our tablet needs to be protected. 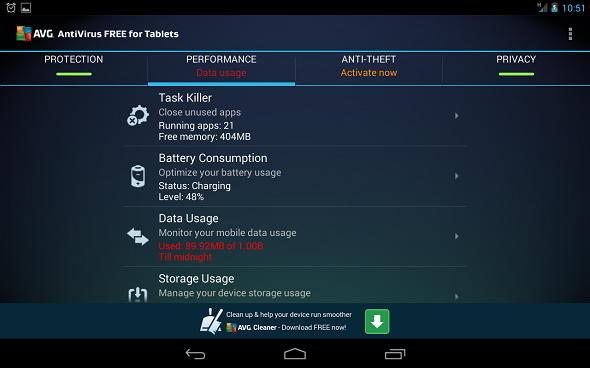 If you own an Android tablet then you must be looking for best antivirus app (particularly the free one) for that and I’m here with review of one such app. AVG which is a well known name in antivirus industry since years, have provided a free app which is compatible with Android tablets. 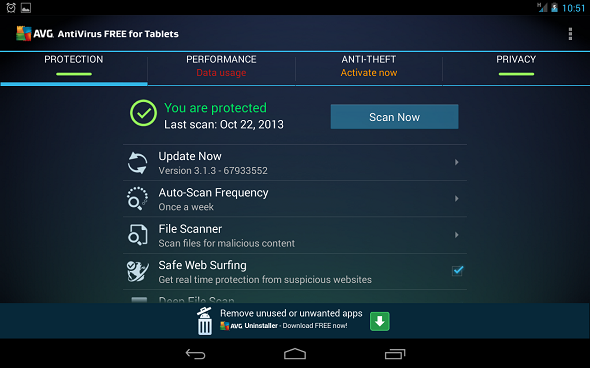 I used it on my Nexus 7 and I’m here with my review of AVG’s AntiVirus Security for Tablets. When I researched over internet and various Android forums about best free antivirus for tablets then I ended up with two apps, Lookout Security & Antivirus and FREE Tablet AntiVirus Security from AVG. As per the user reviews are concerned on Google play store for both these apps, Lookout truly wins the race by a huge margin but still it was behind in terms of features and due to that I chose AVG’s AntiVirus Security app. Lookout doesn’t provide this feature and for every Android user this feature must be there in an antivirus. Since our tablets are mostly used for internet browsing so it should be protected otherwise chances of getting infections from there will be definitely there. This feature is provided for free in AVG’s AntiVirus Security and this is that reason why I chose it over Lookout. Rests of the features which Lookout provides are all there in AVG’s AntiVirus Security app. This is an additional feature in this app which is definitely going to help you out in keeping track of your data usage. In my case, I’m having Nexus 7C which allows me to access 3G data via GSM cellular SIM card. So I’ve to keep track of my 3G data usage so that I should utilize it well and can never get short of. This feature in AVG’s AntiVirus Security allows users to set data volume for which you’ve subscribed. For example if you’ve subscribed or 1GB of data then you should enter that volume and by default the data usage warning is set to 90%. That means when you’ll utilize 90% of 1GB of data then this app will provide you notification for that. It will also provide you usage details from day to day. The app provides almost complete protection. It scans files and folders on the storage, scans apps and monitors them so that they can’t do anything suspicious and provides protection on browsing. These three kinds of protection features are good enough to be on the safe side. But still I’ll not refer it as complete protection as it still offers an upgrade and there must be something extra in terms of protection in that. The app provides an integrated task killer and battery consumption tools. 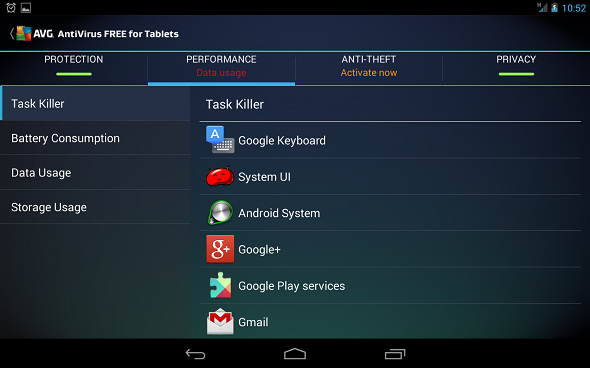 Using the task killer you can easily kill the apps which are running in background and counting on your CPU resources. The Android Jelly Bean OS versions comes with integrated task killer but I found few apps (particularly games) running even when I removed them. So this tool is really handy if you care maximum utilization of battery. 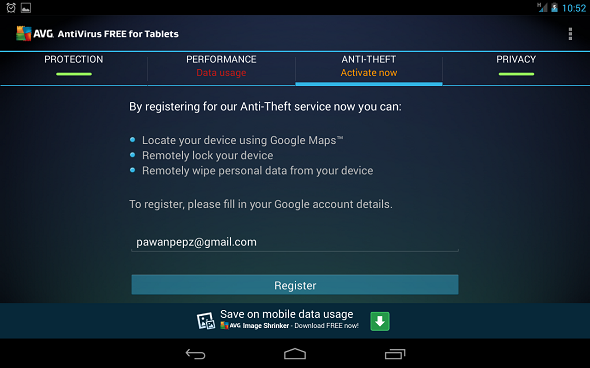 You can activate Anti Theft feature of this app that will let you search your device using Google Maps and you can also remotely lock or wipe data of your device. I haven’t activated this feature since I’m already using the default Android Device Manager Tool for this particular feature. The AVG’s AntiVirus Security comes with certain privacy features too like App locker and App backup but both these features are only for pro users. You can still have access to three tools under Privacy tab which are wipe device, wipe data by category and wipe SD card. One thing which I forget to talk about this AVG’s AntiVirus Security app is that its user interface is much better than Lookout (according to me). It also looks elegant and the only annoying thing was the advertisement at the bottom regarding upgrade to pro version of the app but it never stopped me while using any other tool of the app. It also keeps performance of my device high. As I already mentioned it provides safe browsing feature which is necessary along with data usage feature. Scanning procedure is also fast and this app will never disturb you while using anything else on your Android tablet. If you don’t understand any particular feature or have any other concern then you can check the help section of the antivirus which will definitely get a solution for your problem. The help guide section really tunes up the user experience with the app. 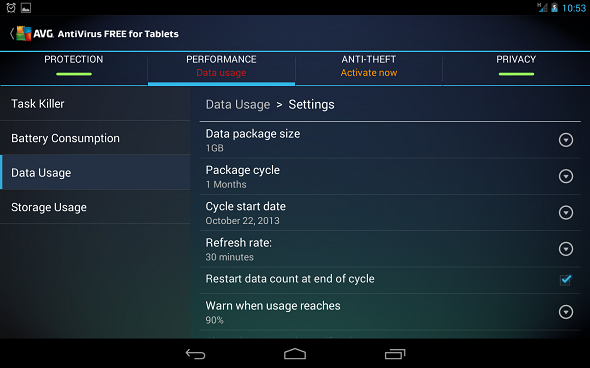 So according to me, AVG’s FREE Tablet AntiVirus Security is the best free antivirus for Android tablet. Let me know which one is your favorite or your search for an antivirus got end here. 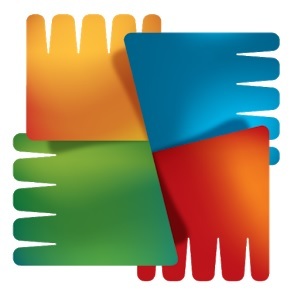 AVG anti virus is really good because i am using it since a long time(free version). It protects my system frequently while i am opening maximum number of sites per day. It also tells me which site is infected and blocked it automatically. I strongly suggest for this AVG antivirus for every system. The paid apps were able to scan and detect about half of all installed threats. That still leaves a huge number of malicious packages in the clear.